In 1996, a Canadian company started geological explorations in the Rosia Montana area in the Romanian Carpathians. Two years later it formed a joint-venture with a Romanian state company to exploit what is believed to be Europe´s largest gold reserves. However, as of June 2011 extraction has not started yet and it may never start due to the opposition of numerous NGO´s that have pointed out the environmental, social and economic unsustainability of this mining project. This situation is highly unusual for a country that is hungry for foreign investment especially since up until very recently the state had supported any project promising to revitalize its mining sector. This paper will investigate the changes in the discourses surrounding this mining project taking into consideration the effects of globalization and the effects of Romania´s EU membership after 2007. Alburnus Maior 2007, Rosia Montana: Gold Mine Proposal Provokes International Opposition, www.ngo.ro. Abrudan, I & Turnock, D 1999, ‘A Rural Development Strategy for the Apuseni Mountains, Romania’, GeoJournal, vol. 46, nr. 3, p. 319-336. Bechir, M 2003, ‘Proiectul Rosia Montana, Obstacol spre Europa’, Evenimentul Zilei, viewed on 11 December 2003, www.evz.ro. Beck, U 1992, Risk Society: Towards a New Modernity, Sage Publications, London. Bridge, G 1998, ‘Excavating Nature. Environmental Narratives and Discursive Regulations in the Mining Industry’, in A Herod, GO Tuathail & SM Roberts (eds. ), An Unruly Word? Globalization, Governance and Geography, Routledge, London and New York. Chambers, DM 2003, Technical Comments on the Rosia Montana Feasibility Study and the Rosia Montana Project Description, Bozeman, MT, Center for Science and Public Participation, www.csp2.org/reports/Rosia%20Montana%20Project%20Description%20Comments%201.13.03.pdf. Clover, C 2000, ‘Romanians Blamed for Cyanide Pollution of Rivers’, Telegraph, Issue 2033, viewed on 18 December 2000, www.telegraph.co.uk. Dobre, L 2003, ‘Sfantul Sinod E Impotriva Proiectului Rosia Montana’, Ziua, viewed on 13 November 2003, www.ziua.ro. Fisher, P & Lengauer, A 2002, The Compatibility of the Rosia Montana Mining Project in Romania with the Principles and Norms of EU and EC Legislation- An Expert Opinion, Institute of Law, University of Vienna. Gergely, K 2000, ‘The Tisza River: To Be or Not To Be?’, Chemical Awareness, Issue 11, viewed on 23 October 2000, http://zpok.hu/cyanide/baiamare/News/chemaaware.htm. Gabriel Resources Ltd. 2003, ‘News Releases’, www.gabrielresources.com. Galor, D 2002, ‘Proiectul Rosia Montana’, BBC—Romania, 30 November 2002. Found in a brochure edited by Departamentul pentru Analiza Institutionala si Sociala (Department for Institutional and Social Analysis), www.bbc.co.uk/Romanian/. GRD Minproc Limited 2001, ‘Rosia Montana Project—Project Summary’, Company Document, www.gabrielresources.com. Hutchins, MJ, Walck, CL, Sterk, DP & Campbell, GA 2005, ‘Corporate Social Responsibility: A Unifying Discourse for the Mining Industry?’, Greener Management International, vol. 52, p 17-30. Jenkins, H & Obara, L 2008, ‘Corporate Social Responsibility (CSR) in the Mining Industry – The Risk of Community Dependency’, CRR Conference, 7-9 September 2008, Queens University, Belfast, http://www.crrconference.org/downloads/2006jenkinsobara.pdf. Kepore, KP & Imbun, BY 2010, ‘Mining and Stakeholder Engagement Discourse in a Papua New Guinea Mine. Corporate Social Responsibility and Environmental Management’, published online 20 July 2010 http://onlinelibrary.wiley.com/doi/10.1002/csr.243/pdf. ML 2003, ‘Academia Contra Roşia Montana’, Ziua, viewed on 30 May 2003, www.ziua.ro. Mihaescu, R & Floca, L 1999, ‘Shifting in Environmental Problems in Transition Period: Mountain Area (Apuseni)’, in V Surd (ed. 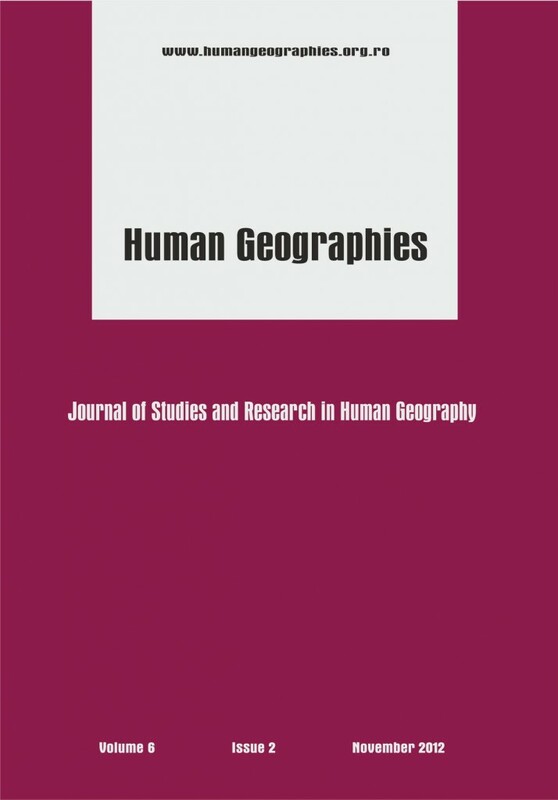 ), Rural Space and Regional Development, Editura Studia, p. 246-251, Cluj-Napoca. Mineral Policy Center, Alburnus Maior and CEE Bankwatch Network 2002, ‘Evaluating Risk. Investors’ Guide to Gabriel Resources Limited’s Rosia Montana Mine Proposal’, Corporate Research Bulletin, viewed on November 2002, www.earthworksaction.org/pubs/EvaluatingRisk.PDF. Mineweb 2002, Rosia Montana—Greenies Prefer Degradation to Cleaner Alternative, www.mips1.net. MiningWatch Canada 2002, Romanian Villagers Oppose Canadian Gold Mine at Rosia Montana, www.miningwatch.ca. Northover, R 2000, ‘Eastern Europe Gets Toxic Shock’, BBC, viewed on 14 February 2000, www.bbc.co.uk/nature/animals/news/122news5.shtml. Peet, R & Watts, M 1996, ‘Liberation Ecology—Development, Sustainability, and Environment in An Age of Market Triumphalism’, in R Peet & M Watts (eds. ), Liberation Ecologies- Environment, Development and Social Movements, Routledge, 1-45, London and New York. Popescu, IL 2003, ‘The Truth about the Resettlement of the Apuseni Mountains. Interview with Michael M. Cernea—Sociologist and World Bank Expert, Washington D.C’, Formula As, nr. 582, viewed on September 2003, www.formula-as.ro. RMGC (Rosia Montana Gold Corporation) 2003, Rosia Montana Mine Project Overview, www.rosiamontanagoldcorp.com/eng/projectdesc.htm. Roth, S 2002, ‘New Mine Scheme Threatens Romania’, The Ecologist, viewed on July – August 2002, www.theecologist.co.uk/archive. Rusu, M, Marghitas, M, Munteanu, V, Balutiu, C, Paulette, L, Popa, M & Tudoran, A 2001, ‘Contributii la Cunoasterea Acumularii Metalelor Grele (Pb, Cd, Cu, Zn) în Solurile şi Vegetatia Zonei Zlatna’, Annales Universitatis Apulensis: Topografie- Cadastru, vol. 1, p. 101-107. Schmink, M & Wood, CH 1987, ‘The ‘Political Ecology’ of Amazonia’, in PD Little, MH Horowitz & AE Nyerges (eds. ), Lands at Risk in the Third World, Boulder, Westview Press, pp. 38- 57. Simion, S &. Brand-Jacobsen, KF 2002, ‘Rosia Montana: Cyanide in a Community – Ecology, Corporate Profit, and the Struggle for People’s Rights’, Cluj, PATRIR, www.hartford-hwp.com/archives/62/460.html. Smith, F Jr. &. Walsh, J 2007, ‘A Village’s Travail: A Snapshot of Environmental NGO’s Real Work’, Competitive Enterprise Institute, nr. 120, viewed on 12 September 2007, www.cei.org/pdf/6132.pdf. Stirban, M, Osvath, T & Deliu, C 1980, ‘Estimari Comparative ale Influentei Poluarii Asupra Potentialului Reproductiv al Fagetelor din Valea Ampoiului’, Buletinul Centrului de Cercetari Biologice, 20: 376-386, Cluj Napoca. The Sydney Morning Herald 2000, ‘Hungary to Sue for $181 Million’, viewed on 11 July 2000, www.smh.com.au/news/specials/intl/cyanide/index.html. Toader, M 2003, ‘Nastase in Recital’, Ziua, viewed on 6 June 2003, www.ziua.ro. Vidal, J 2002, ‘Bank Pulls Plug on Open-Cast Gold Mine’, The Guardian, viewed on 12 October 2002, www.guardian.co.uk.